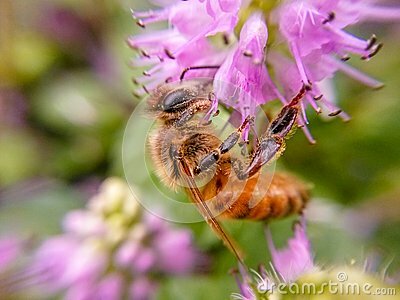 The bees that gather honey in purple flowers. A wild field, with a purple flower, attracted many bees to gather honey. Look, the busy little bee is getting all the pollen.